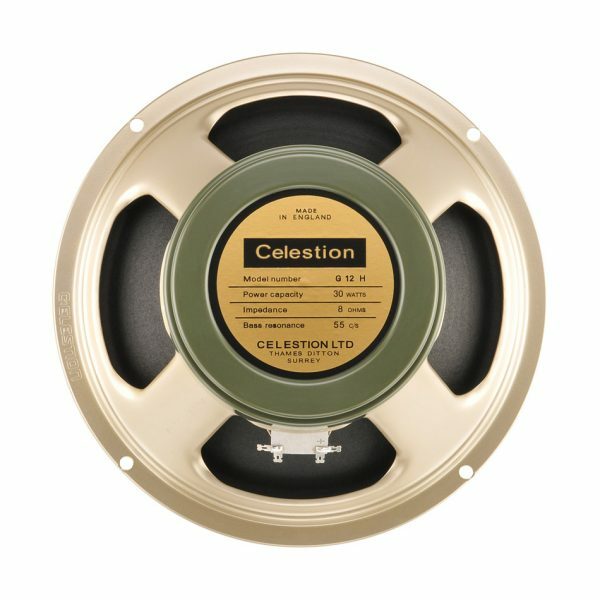 Add the distinctive 60s tones of the Celestion Heritage G12H (55) to your impulse response library with this 2×12 closed back IR. If you’re looking to add some classic 60s rock tone that delivers plenty of bass with mid-range crunch and detailed highs to your IR collection, the Heritage G12H 55Hz is a must have. The closed back 2×12 cabinet pack includes files for 3 well-known microphones (the Shure SM57, Sennheiser MD421, and Royer R-121) positioned in 6 different locations. Within the IR files these positions correspond to Bright, Dark, Dark 2, Balanced, Fat and Thin tone options. This cabinet also contains IRs for a room mic (Neumann TLM 107) captured in 3 positions – Left, Right and Stereo – plus 8 additional mic mixes, created by blending different microphones together. All files are .WAV format for maximum compatibility.